Orange Business Services has been positioned in the Leaders quadrant of the first edition of the Gartner Magic Quadrant for Managed Machine-to-Machine Services. The report evaluated 13 managed machine-to-machine (M2M) service providers, who collectively manage over 70 million cellular M2M connections. As both a communications service provider (CSP) and integrator, Orange Business Services orchestrates, operates and optimizes complete M2M and Internet of Things (IoT) solutions. This combines consulting, the Intelligent Apps Enabler M2M platform, device management, global support and connectivity. Available access networks include cellular, fixed and satellite, along with alternative technologies, including Wi-Fi mesh and radio networks. Orange Business Services employs more than 500 M2M and IoT specialists around the world with dedicated expertise in innovation, integration and vertical markets, such as transport, smart cities and health. This approach has yielded market-leading solutions, such Fleet Performance, which is used in more than 60,000 vehicles to-date. 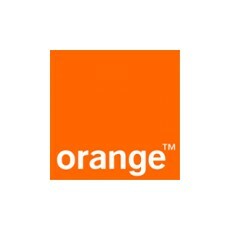 To offer a complete perspective, Orange also combines M2M capabilities with customer experience and big data skills in its Orange Applications for Business (OAB) entity.